Have you ever sat down to start a new blog post for your health blog and ended up just staring at an empty page wondering what in the world to write about? ​If so, you’re not alone. 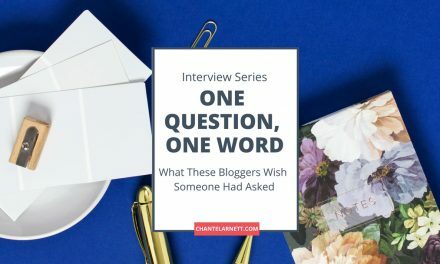 Plenty of people just like you struggle to come up with new blog post ideas. But every time they come up with a new idea, they get frustrated because they either feel like everything has already been written or they’re not sure if it’s something anyone actually wants to read. Good news: people are always looking for ways to improve their health, lose weight, gain strength and just feel better overall. If your health and wellness blog can offer a new solution to an age-old problem or offer a new perspective, you will be able to help your readers and keep them coming back for more. 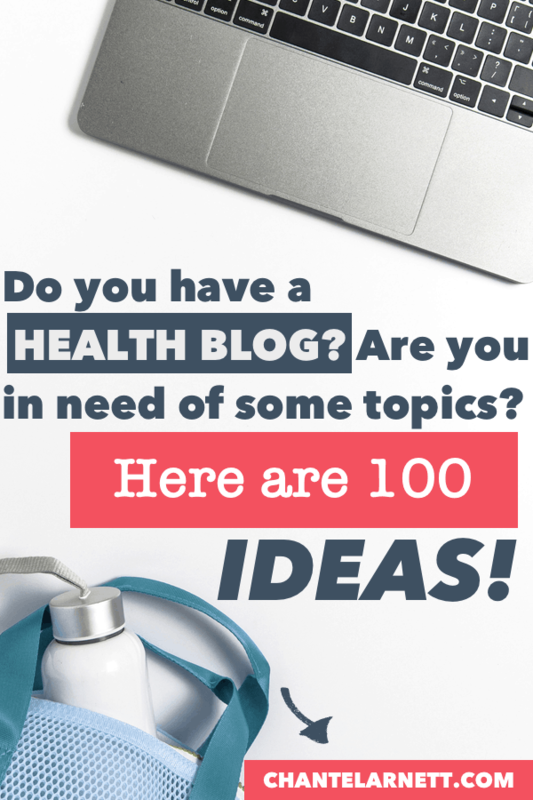 If you have a brand new health blog or you’re just looking for some fresh ideas, read on for a list of 100 reader-focused blog post ideas to write one (or even two) new blog posts for an entire year! Do you need a flu shot? Why or why not? Should you get a yearly physical/eye exam? Why or why not? Is the Food Pyramid Still Relevant? Why or Why not? As you can see, there are so many problems to help your reader solve (and thus so many blog posts you can write!) However, it doesn’t need to be difficult. 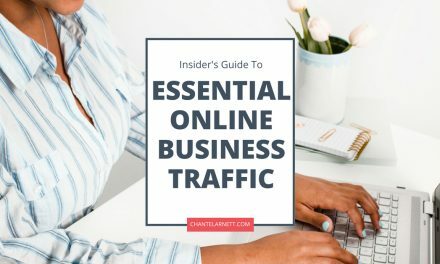 That’s why I’m giving you this list of blog post ideas to make it easier for you to consistently get new blog posts written that will help your readers. 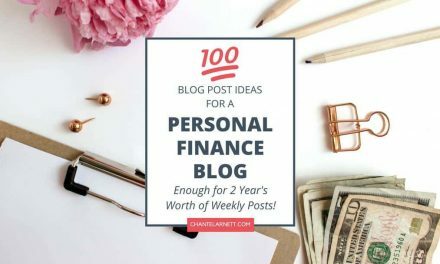 Below you’ll find a swipe file that includes these 100 blog post ideas plus hundreds more in a downloadable and printable file that you can keep handy for reference or check off as you write new posts. 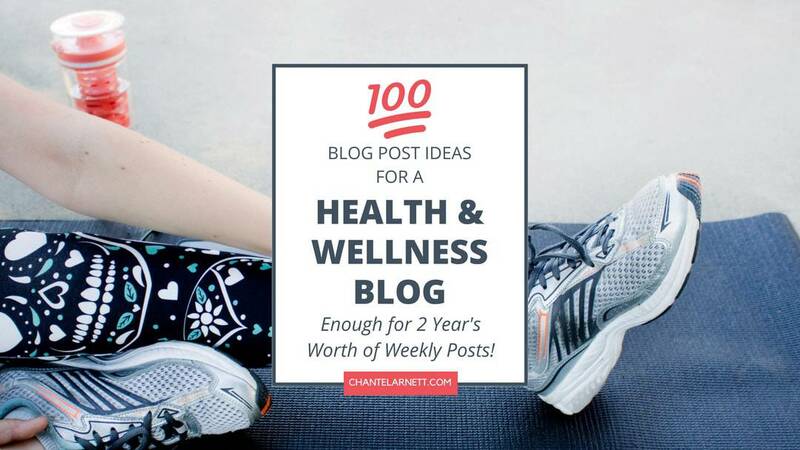 So, go ahead and put this list of Health and Wellness blog post ideas to work for you today – you’ll be glad you did! Wow, this is just an awesome list of blog topic ideas. 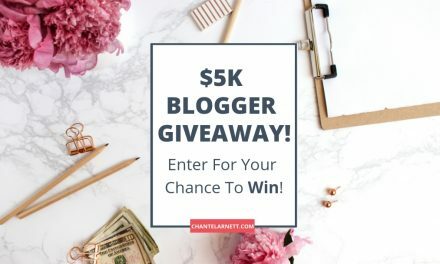 Being a blogger, I get it that how tough it is to keep coming with new blog ideas. Thanks for sharing. Hi, Kristen! You are welcome and hope you found some new blog post ideas you can use.